Explore the classic and timeless sights of the city with your 4 hour walking tour! 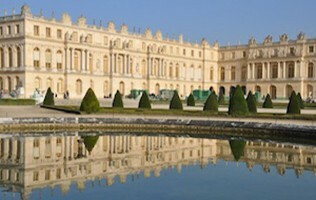 If you only have time to take one tour in Paris during your visit, it should be this one. Our famed 4 hour Paris Essentials Tour covers all of the most unforgettable sites in the City of Light — the stunning Eiffel Tower, the world's most famous museum, the Louvre, stop by the quaint reprieve in the city center, the Tuileries Garden, and of course, Napoleon's Tomb. Also included is a stroll down one of the busiest shopping avenues in the world, the Champs Elysees and a climbing of the Notre Dame Cathedral, home of that notorious Hunchback. With our Paris Essentials Walking Tour, you'll get to see a museum that is world famous for its Impressionist collection, hear how Notre Dame once held the coronation of a famous emperor, witness the site of royal beheadings, and visit the legendary Eiffel Tower. With Aeon Tours, you get a personalized, guided walk though the city center that shows you all of these legendary sites in Paris and so much more! No other touring company offers you a full, 4 hour, small group tour at this price! Entry fees are not needed for our Paris Essentials Tour, as we do not enter any attractions that require tickets during the tour. 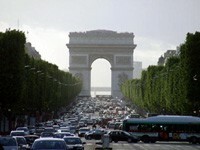 What will I see on my Paris Essentials Tour? 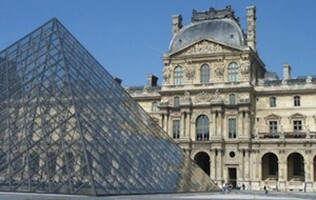 You will explore the center of Paris, home to some of the worldâ€™s most famous sites like the Eiffel Tower, Notre Dame, and the Louvre Pyramid. If youâ€™ve elected to take a Private Paris Essentials Tour, your guide will meet you at your predetermined meeting point â€“ usually your hotel or apartment, or our regular Essentials Tour meeting point. 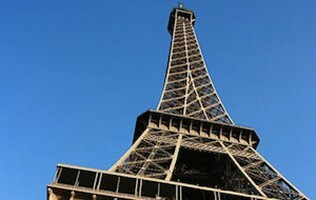 Your Group Paris Essentials Tour guide will meet you at our easy-to-find meeting spot near St Jacques tower at 10:00 AM. Your exact meeting point details â€“ complete with a photo and map of your meeting point - are emailed to you once your booking is complete. Only had a short time in Paris and decided to do the Essential Tour. Was a great time and definitely made me want to do to the other tours. The guide was friendly -- felt like a group of friends rather than a bunch of tourists being led around-- and was a good introduction to the city. Great guide, great city, great time. Definitely worth a visit and I recommend this tour if you want to breeze through a bunch of the sights with a funny and informative guide. He also gave us some great restaurant tips. Good start to our trip. As the name of the tour might suggest, this is a brilliant way to see a bunch of Paris' key landmarks. Obviously there are so many to really see ALL of the sights worth seeing you'd need days if not weeks, even for such a relatively small capital. Anyway, you see the Arc de Triomphe, Notre Dame, Champs Elysee, etc, and of course the Eiffel Tower, which you'll probably want to see more fully a different tour anyway. I would recommend it as just a way to get familiar with the city's geography at the very least, but also our guide was really great. His name was Miguel and even though he's an expat he still knows the city well and is a pleasure to spend some time with. We enjoyed our tour very much with Aeon Tours. It was well organised and of high quality. The price was very reasonable when compared to the others, especially since this tour lasted for almost 4.5 hours. Our guide Guillaume was one of the best we have had. He was very knowledgeable and very informative. He presented the tour and the city facts very well. We are still talking about how great the tour was and have recommended it to our friends that are visiting Paris in April. We actually went on a different Paris tour 2 years ago but definitely enjoyed this tour a lot more. Will use Aeon Tours again for our next trip! Absolutely Brilliant Tour of Paris! Took the Paris Essentials Tour with Aeon in August and had the most amazing tour. Our guide was also absolutely brilliant. I only had a few days in Paris before heading to the south of France, and this had to be the best way to take in as much as possible in my limited amount of time. I've taken tours of almost all of the major European cities, and Aeon was right up there with the best of them.